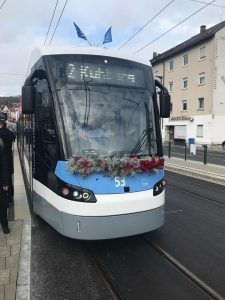 Ulm opened its Line 2, operated by Avenio M trams from Siemens Mobility. In 2018, at global level, 121 urban rail projects were completed, totalling 1270 km, UITP announced. 150 new lines were opened, with 89 metro and 59 LRT in the past three years. Although is a successful year for urban rail infrastructure development, the 2018 figure is with 6% less compared to the previous record year, when 1348 km were opened. According to the latest statistics, Asia dominates both metro and LRT markets, with China twice leading the statistics. The first metro system in Sub-Sarahan Africa opened with the two-line system in Abuja, Nigeria. “New urban rail developments have never been as intense as in the last three years, with the opening of nearly 150 new lines (89 metro and 59 LRT). Together with line extensions, this amounts to 3318 km of new infrastructure and offers robust business opportunities for supply chain in deep reorganization,” Laurent Dauby, UITP Director of Rail said.